Challenging route (for the 2nd part between Les Semeleys and Pic Chaussy) with stunning views of Les Diablerets, Pays d'en Haut and Lake Lioson. From Isenau, follow the road for about 200 metres then the footpath to La Crua, then Metreile. Continue towards Chersaule via Marnex, La Dix, La Lé then to Les Semeleys. From there, take the steep footpath to the summit of Pic Chaussy. No. 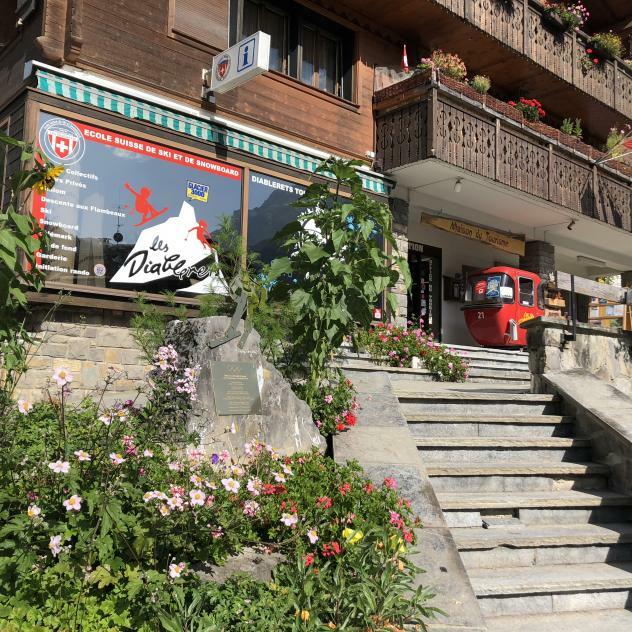 1: return to the village by retracing your steps to Les Semeleys, then keep going to Chersaule, La Ville, Les Granges and Les Diablerets. No. 2: continue the route to Les Mosses via Lake Lioson (return by bus and train). The Marnex Mountain Chalet makes cheese during the summer (July and August). Before getting to the Pic Chaussy summit, the path takes you between the imposing avalanche barriers then along the ridge.